For the second game running Newton Aycliffe drew a game that they should have won comfortably. They missed chances and conceded an injury time equaliser yet again in an entertaining 2-2 draw. They are playing attractive football and outplayed Whitley Bay, particularly in the second half. The first half hour was dominated by the midfields, with few clear chances. Ben Wood made a good run and shot, which Bay keeper Flynn pushed around for a corner. Whitley Bay took the lead against the run of play in the 33rd minute; a ball was pulled back from the dead-ball line into the path of Brannen who hit a good shot into the top corner past James Winter. Five minutes later, Vinny Gash broke through the defensive line, but dragged his shot wide. Jermaine Metz then went on a mazy run, before squaring for Gash to tap in for 1-1. Metz and Gash had further chances but the half ended all square. Aycliffe started the second half well. Wood and Ethan Wood put shots wide, and Shaun Hudson had a good penalty shout turned down. Gash got through but Flynn saved again. Aycliffe then went ahead when man-of-the match Wood finished off a good team move by skilfully beating his marker in the penalty box and slotting home for 2-1. Aycliffe had Mark Costello sent off for two cautions in injury time. Whitley Bay equalised right at the end when Aycliffe failed to clear a high ball and Ardelean put away the loose ball to enable the visitors to steal a point. 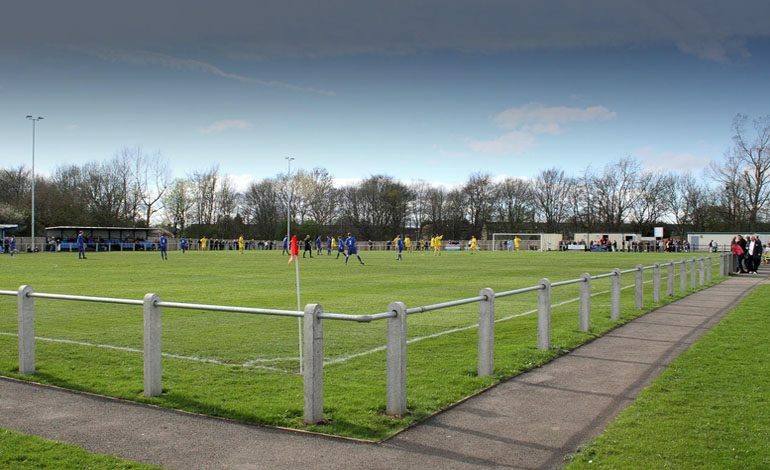 Aycliffe’s next game is away to Whickham on Saturday (December 8, 3pm), followed by a home game against Guisborough on Tuesday (Dec 11, 7.30pm).